Abingdon, VA Thursday, May 14, 2015. 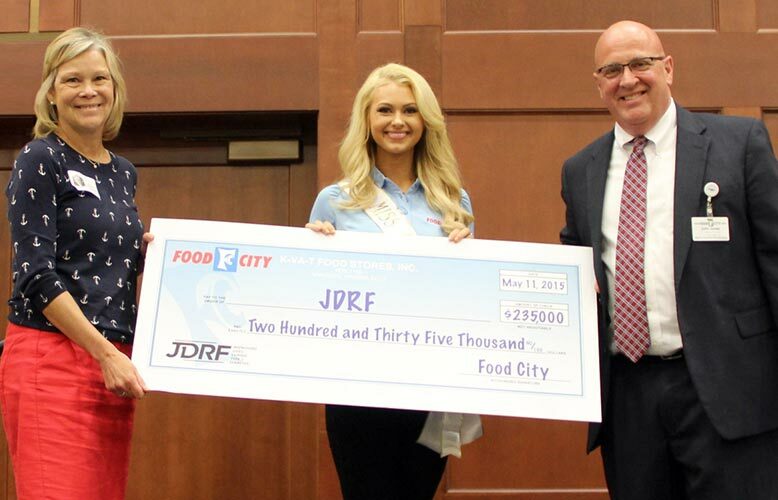 Food City officials recently presented a check in the amount of $235,000 to Juvenile Diabetes Research Foundation. The funds derived from Food City’s company-wide annual fundraising campaign, which began March 28 and concluded on May 3, 2015. During the promotion, Food City shoppers were given an opportunity to make a contribution through the purchase of a JDRF “sneaker” at the checkout. 100% of the funds collected benefit Juvenile Diabetes Research Foundation.